Bali is world-renowned for its complex Hindu culture, colourful ceremonies, magnificent volcanic and coastal scenery as well as the artistic and welcoming nature of the Balinese themselves. Surely there cannot be a more fascinating island on the planet nor one that has more to offer, no matter what your interests – honeymoon, family, topside activities and adventures, pure rest-and-relaxation, the list is endless. We know that if you come and experience ‘The Island of the Gods’ for yourself, you’ll find it hard to leave but quite often it’s deciding what to include that is the most difficult part. We have therefore provided a few Bali holiday ideas with sample programmes to assist with developing ideas about what sort of holiday will suit you best. We’ve designed this short package for the couple looking for a few days away from the hustle and bustle of daily life. We have selected only the most romantic hotels, kept the diving gentle and added some lovely extras to maximise your alone time on this beautiful island. Bali is an ideal destination for families with activities for all members of the family. If your children are divers, they can join you at some of Bali’s wonderful dive sites or, depending on their ages, they might like to snorkel, do the PADI Bubblemaker programme or try our 1 Day Introductory Diving Adventure Programme. Waterbom, the Bali Safari Park and surfing courses are all ideal activities for every member of the family. This programme provides a sample of the type of itinerary we might design for you. It’s simply a matter of letting us know what you enjoy and we can design a programme to include diving (and/or PADI dive courses), tours and any others of the multitude of activities available to you here in Bali. If you love activity, both water and land-based, AquaMarine can organise an Adventure Holiday to include a range of different activities – as much or as little as you prefer! From diving and surfing, to trekking and cycling, Bali has the combination to suit you – and you have AquaMarine to put it all together for you! 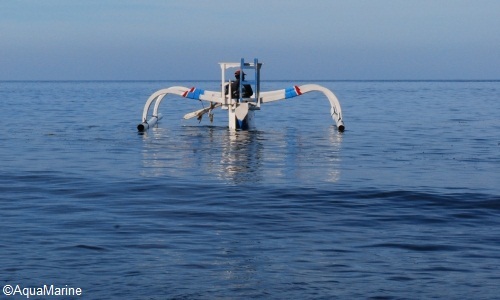 Our website is full of ideas for SCUBA diving in Bali. Here we list our Bali Holiday Ideas that are above the water. Considered to be ‘The Spa Capital’ of South East Asia, many Bali resorts have their own spas, and there are independent spas all around the island. It is difficult to know where to start when listing Bali’s topside activities as they range from bird-watching walks and Balinese cookery courses to downhill cycling tours through Bali’s heartland and the ever-popular surfing as well as world-renowned golf courses. You can study Indonesian crafts such as puppetry or make your own batik sarong, learn the Balinese gamelan (xylophone) or try Balinese dancing. 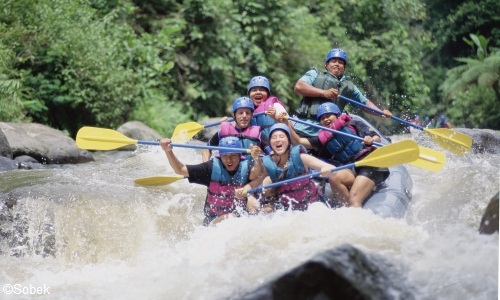 Whitewater rafting is available and you can horse ride on the beach or through the rice fields. Several companies offer Daytime and Dinner cruises. Watersports abound: fishing, wind-surfing, para-sailing, banana-boating. There are also the Bird and Reptile Parks, Safari Park and the Butterfly Park. Our Bali Holiday Ideas are endless! But perhaps the most enjoyable and educational activity of all is to learn about and experience Balinese culture. Deeply rooted in daily activities, ceremonies (such as tooth-filing) to mark each stage of this life can be witnessed all over the island. 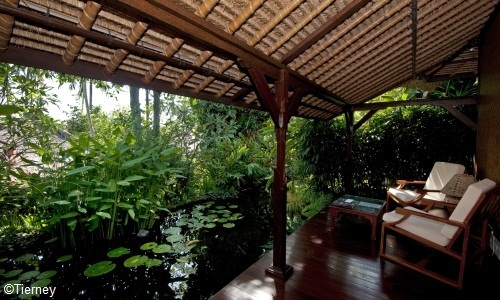 Visits to beautiful and spectacularly located temples are within 1-2 hours of most hotels in Bali. When arranging your diving activities, please remember that central Bali is very mountainous and you should allow 24 hours between finishing diving and ascending to altitude (including flying). Note: The PADI standard is a minimum 18 hours, however we recommend a slightly longer safety margin between diving and flying.